Impact Factor : 5.97 | 5.97 Impact Factor and ISSN Approved | Journal Approval Number By UGC no 49023 up to 2 may 2018. 5.97 Impact Factor and ISSN Approved Journal. If author have any query related to website / paper / copyright / publication procedure/ Copyright Infringement Claims then please contact with below mentioned mail id or contact numbers. 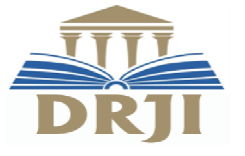 IJPUB RMS | Earn 500 Per Paper. International Peer Reviewed, Open Access Journal | Impact Factor: 5.97 | 5.97 Impact Factor and ISSN Approved.